If you’ve never messed around with the color mist food color spray before, you’re missing out. 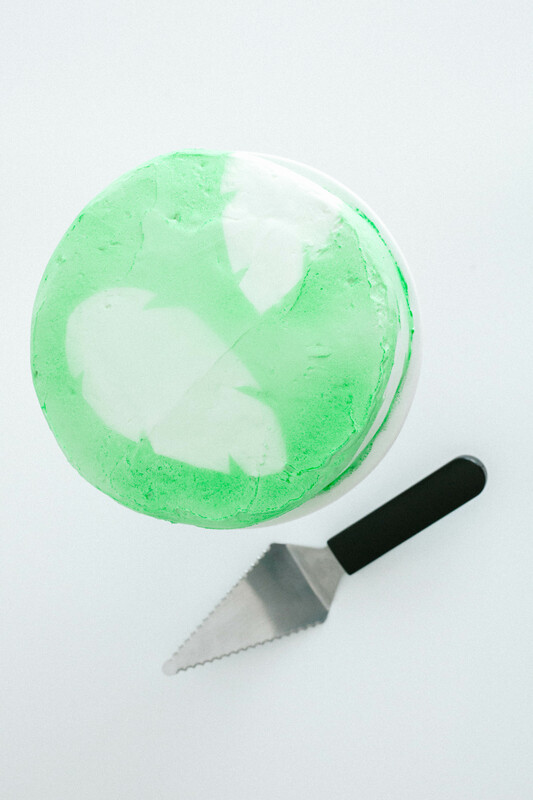 It’s an easy way to add a little color to your desserts without dealing with coloring an entire bowl of frosting. You use it just as you would spray paint…point, press, spray! 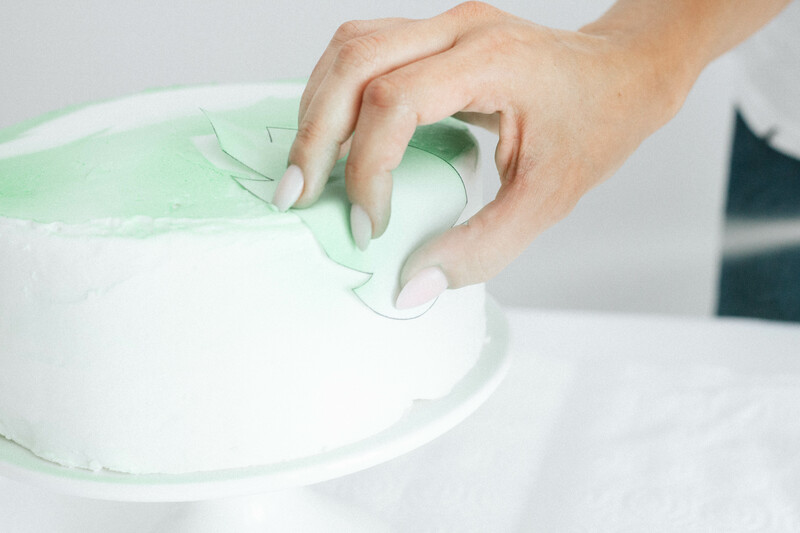 It can take a minute to get used to the pressure on the nozzle, but once you do, you’ll be good to go and before you know it, you’ll be spraying every dessert in sight. 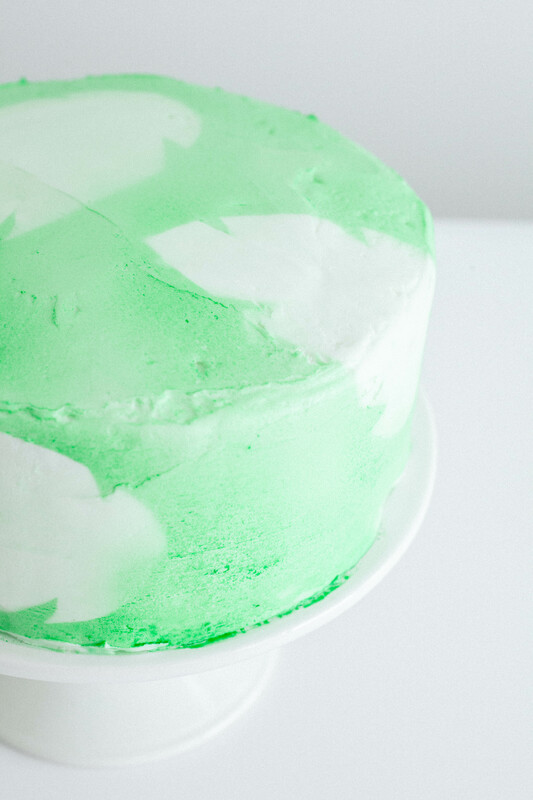 As with all of my cake hacks, I always start off with a plain frosted store bought cake. You can order them from your local grocery store at the bakery counter. I may or may not have even ordered one the same day (or 20 minutes before) I needed it too, so trust me, it’s possible. They might look at you a little funny when you have to repeat the phase, “No decorations at all”, but you’ll get used to that part. For this hack, you’re going to be using paper shape cut-outs as a stencil. 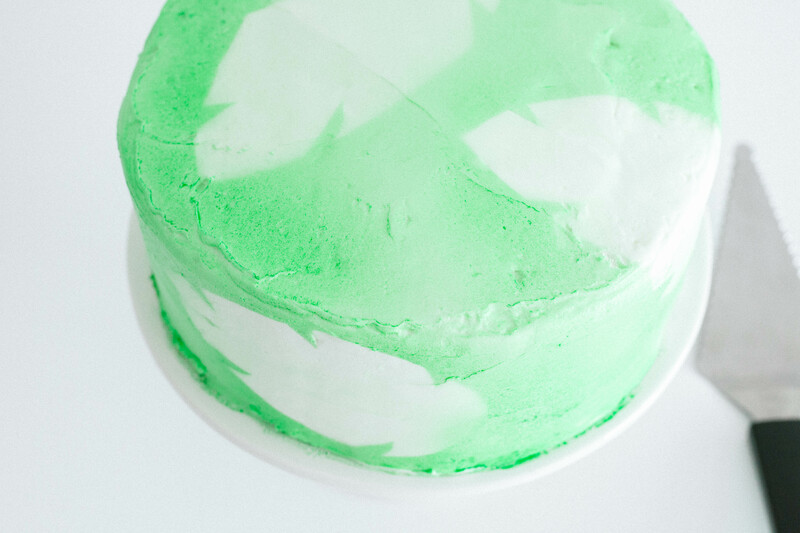 I used palm leaves for my cake, but you can use any shapes your heart desires. You can even combine different ones too! 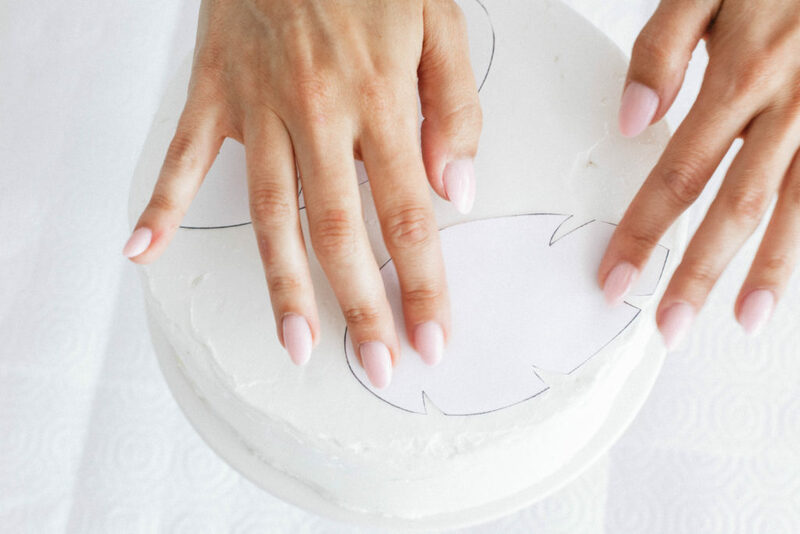 Print and cut out your shapes and place them on your cake to figure out the placement you want to go with. 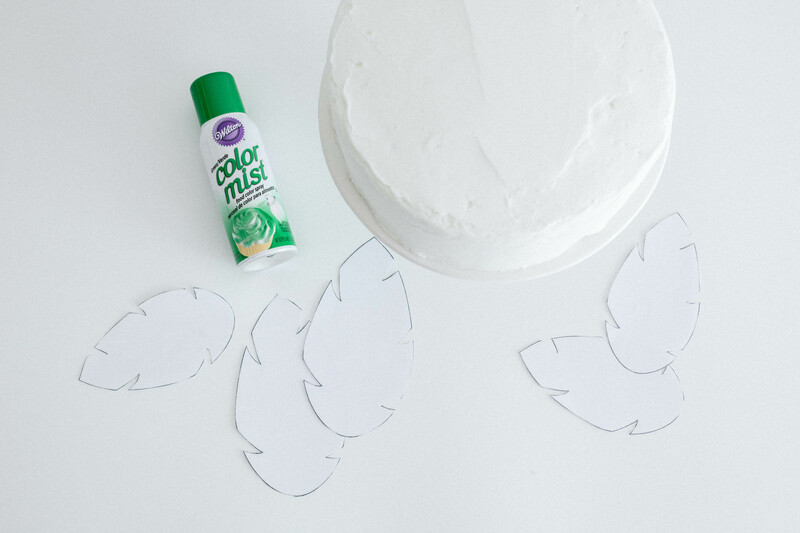 Begin spraying the color spray around one paper stencil at a time. 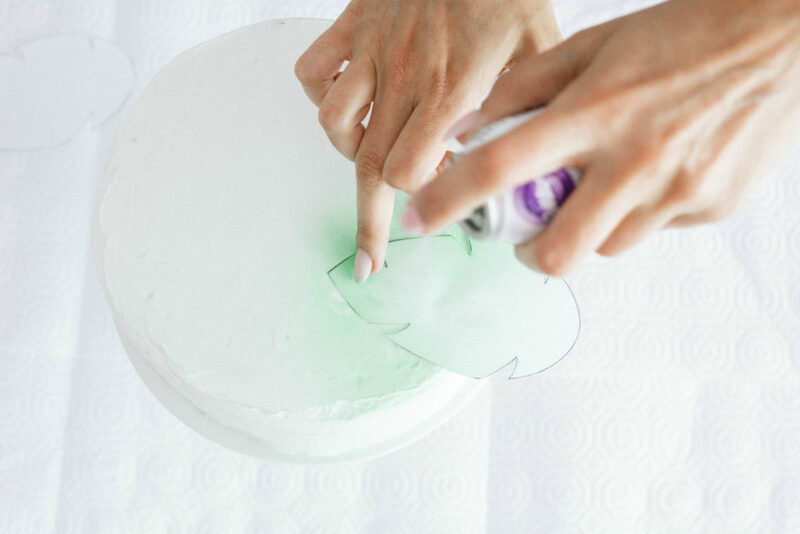 Hold the stencil down with your hand to avoid it moving from the air/pressure of the edible spray. 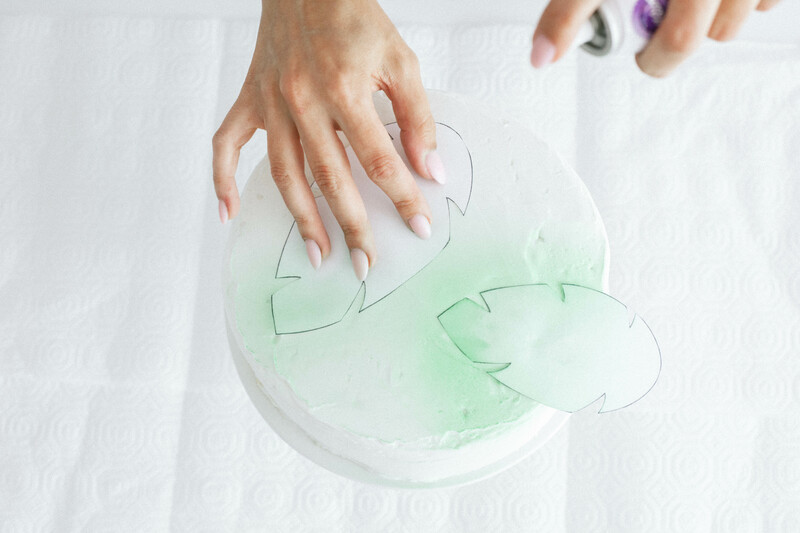 Work your way around the entire cake, spraying the color spray around each stencil until you have achieved the look you want. To continue the pattern down onto the sides of the cake, fold your paper stencil down over the edge of the cake gently, and while holding in place, continue to spray. 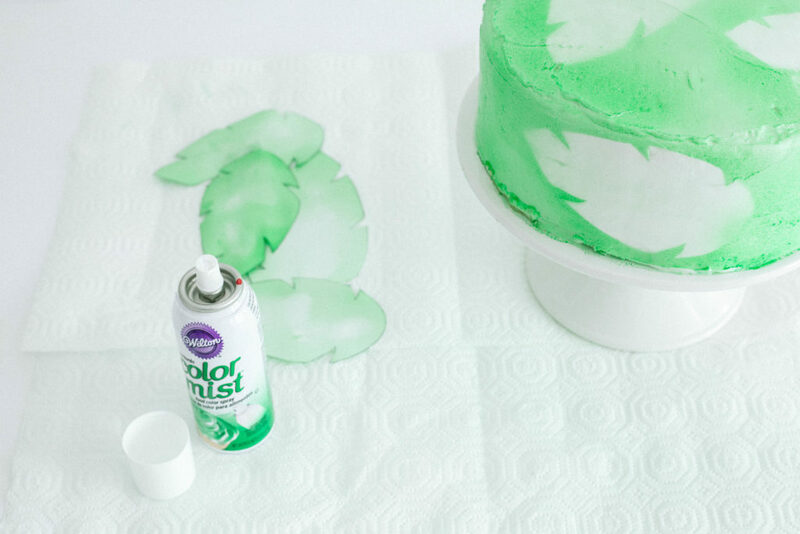 Remove your paper stencils from the cake and allow the edible spray to dry completely.